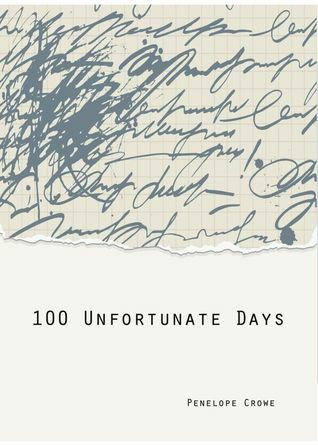 100 Unfortunate Days is the diary of woman either on the verge of a breakdown or a breakthrough. She writes about her feelings, fears, her loathing of motherhood and terrible marriage. She tells us about spells she has used to try and improve her life, and opinions she has that most people would never admit. There are some entries that are beautiful stories, and some as bad as nightmares. No plot involved—you will wonder whose diary you are reading…and hope the owner is okay. If you wear an apron while you’re cooking, the food will almost surely turn out better than if you didn’t wear one. And if the apron has happy faces on it or pretty flowers with uplifting sayings like ‘God Loves You’, whatever you cook will be delicious. You can put out a beautiful tablecloth, use your best china and light some candles and everyone will be enchanted by the glowing light and the special feelings, and your husband will make lots of money and your children will go to Harvard. On the other hand—if you hate to cook but you still have to do it because your family is waiting for their meals, and you get ridiculed for your mediocre cooking skills, bad things start to happen. Like the activation of the soft, wispy poison found in all of us from being told how terrible we are. And then we become even more terrible. If you look at your face in the mirror when there is just the teeny tiniest bit of light, sometime in the middle of the night when something you can’t figure out wakes you up, you can see what you really look like. Sometimes we can’t even tell it is still us and we have to put our hands over our mouths because if we scream everyone in the house will wake up and remind us how terrible and mediocre we are. So we stir the soup and carve the meat and give the miasma the chance to leave us and spread around. We think we would never do this on purpose—but if we think really hard about our true selves—the selves that no one knows about without needing very strong medication for the rest of our lives, we all know what we would do. A man with silver-blue eyes asked me if I needed a ride back to my car while I was getting coffee in town. He was thin and tall and beautiful. He smelled like ice. He was drinking water and he told me that he never eats. I did need a ride.